The area on your face around your eyes is very important in communication. After all, most people look at a person’s eyes first to help them understand what the person is feeling or trying to communicate. Saggy, lined foreheads can give the wrong impression to those encountering you; they can feel as if you’re mad, sad, or just really tired. But a brow lift with Dr. Jones can remedy this problem. Who can use a brow lift? 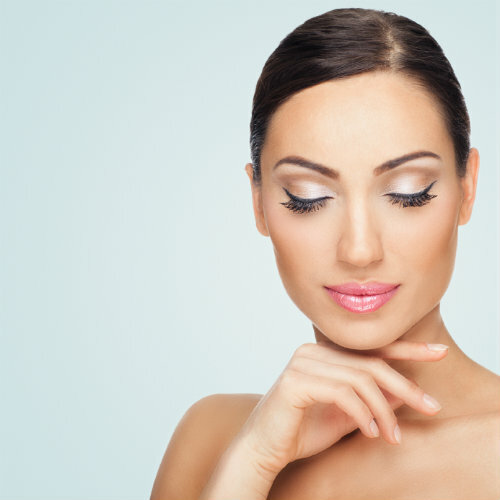 A brow lift, also called a forehead lift, is necessary because as we age, the forehead and eyebrow tissues descend and hood along the upper ridge of the eye. A brow lift is a great procedure for patients who have sagging or low eyebrows, and if they have horizontal creases across their forehead. It’s also a good answer for people with the 11s, those vertical frown lines between the eyebrows. If you have deep frown lines on the forehead, a brow lift is really the only way to get rid of them. Dr. Jones employs different techniques in his brow lifts, depending on the individual situation of the patient. Coronal brow lift — This is the “traditional” brow lift. As incision is made across the top of the scalp running down adjacent to the ears. It is made very close to the hairline to conceal it as much as possible. Underlying tissue is repositioned as possible and excess skin is trimmed. Endoscopic brow lift — Dr. Jones makes a series of three to five tiny incisions along the forehead, rather than one continuous incision. An endoscope is then inserted into one of the incisions to allow Dr. Jones to see under the skin. This method doesn’t allow for results as dramatic as a traditional lift, as the entire forehead skin is not lifted away and repositioned. Transpalpebral brow lift — In this method, the incision is made in the upper eyelid and is used to correct frown lines between the eyebrows or at the top of the nose. Direct and mid-forehead lift — Dr. Jones rarely uses this method as it leaves more visible incision scarring afterwards. Want to look younger by losing those sagging brows? Call Dr. Jones at 405.418.5400 and let’s talk about a brow lift.